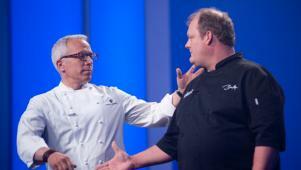 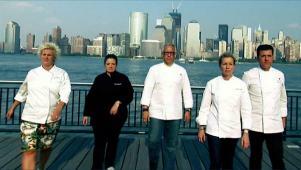 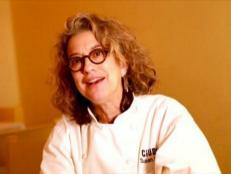 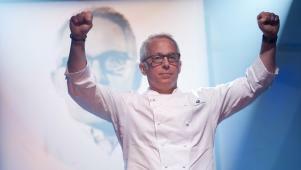 Here's a look back at what happened in episode 4 of Next Iron Chef. 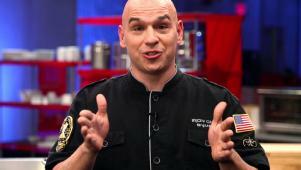 Michael Symon finds the comedy-club food choices to be no laughing matter. 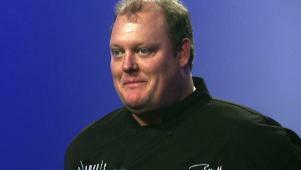 Out by one bite, Chef Beau MacMillan takes his leave of the competition.